Conflict often emerges because people feel unheard or disrespected. If you sense a potential flare-up at the next family gathering, “try to understand what is important to the other person and how they feel.” As Amy Robertson puts it in her blog, “Instead of making assumptions, ask questions.” She even gives detailed advice for how to do that: “Try to avoid questions that include ‘why’ as they can be perceived as judgmental or challenging. A simple option is to say ‘tell me more about this.’” Not only will this make them feel heard, but it will validate their feelings—disarming a potentially upsetting situation. One of the most stressful aspects of Holidays is subtle pressure to visit everyone—all the relatives and all the friends. If you don’t prioritize, then it’s easy to get caught in a flurry of activities. Lori Frank, a Mediator from Vancouver Island, gives a helpful suggestion: “Sit down with your partner or if you’re separated sit down with your kids and figure out what matters to you.” Pinpoint a few close relatives to visit or, if you decide quality time is important, make plans to relax at home with some Christmas movies. You’re already putting so much time and effort into the food, so why not work on cultivating the right mood? Research shows the design of spaces we occupy significantly affect how we handle conflict. Aside from adding a nice touch to the décor and making you seem considerate, a carefully planned seating arrangement can significantly improve the likelihood of amicable conversations. It might also reduce the likelihood of flare-ups, ensure moody teenagers are happy, separate troublemakers, and keep heavy drinkers away from the spiked eggnog. When the time comes for resolving conflict, follow Amy Robertson’s advice: “be flexible and think of at least two ideas or suggestions to move things forward.” Resolving conflicts often takes a bit of creativity, but with a bit of effort, you might find solutions that meet both party’s needs. Have you been taking care of elders this year? Family Caregivers of British Columbia wrote a helpful blog post with tips for reducing holiday stress. One of them was to “ask family or friends to provide respite care or give the person you are caring for a change of scenery.” Otherwise, you might not get much needed R&R to avoid burning the candle at both ends. Collaborative board games have been gaining ground in recent years, and for good reason. Not only are they fun, but as Vancouver Lawyer/Mediator Sharon Sutherland writes, they’re healthy. “Finding ways to compete together rather than exclusively viewing competition as win/lose offers an opportunity to shift our unconscious biases.” A good example is Zombie Fight or Flight, “designed by conflict resolution professionals specifically to meet the need for quick play collaborative games in families.” Read Sharon’s blog post to see other examples. 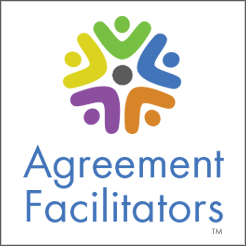 Last December a parent gave their family members the gift of mediation. An adult child had so much hurt built up with another family member they could no longer communicate or be in a room together. The gift was an opportunity for them to work through their issues privately with a neutral person to see if they could find resolutions that would work for them. Amy’s mediation services were that “gift.” She was asked to mediate and, as a result, an agreement with boundaries and a timeline were drawn up. Walter Brynjolfson is the Communications & Engagement Coordinator for Mediate BC. He did an M.A. in Peace Studies in the Middle East, and now, seeing the value of conflict resolution processes, hopes to foster the growth and usage of mediation, facilitation, and other such tools across North America.